Chayo is a barnd new, Japanese restaurant in Clayton. 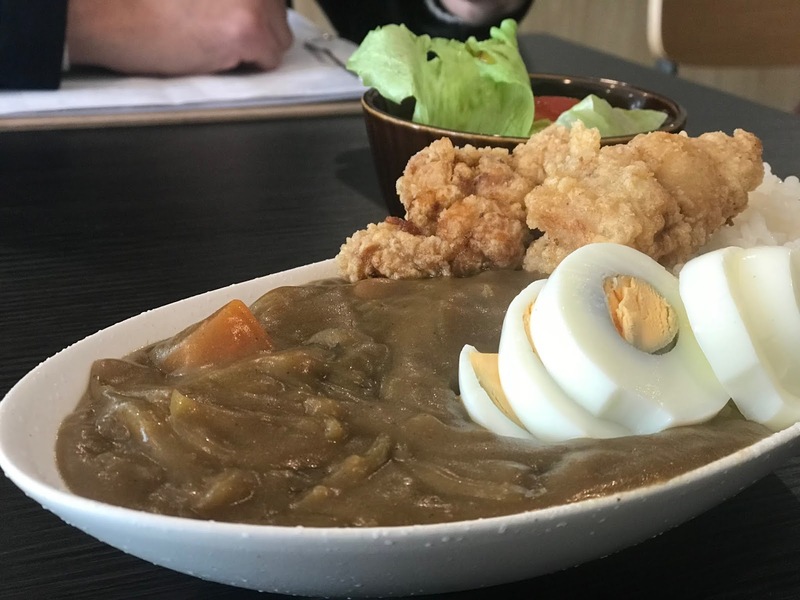 The long awaited Japanese restaurant that we all want and needed. We are so excited that everybody jump in to try. We want more Japanese in the area please. 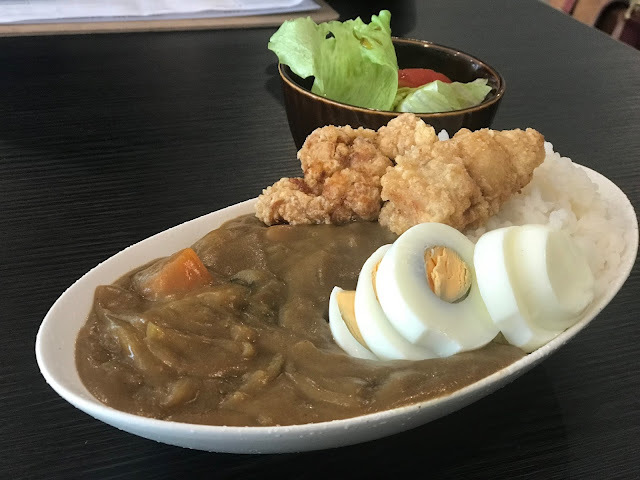 Nihon no curry - Japanese style curry with Koshihikari rice with a choice of egg or side salad ($10) and a choice to add karaage chicken ($3), ebi fried shrimp ($3) or chicken katsu ($4). 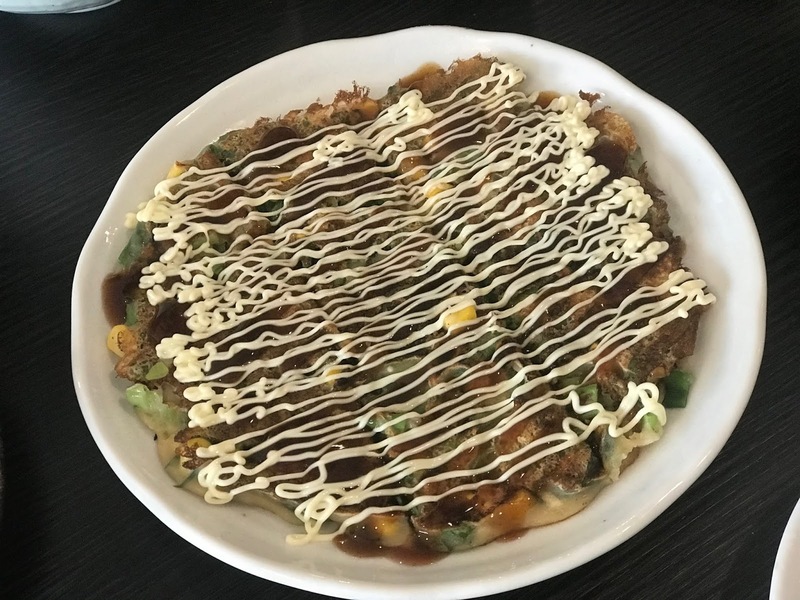 I picked karaage chicken and they did not ask regarding egg or salad. They just bring it both egg and salad, lucky me I guess. The flavour was okay, and the chicken was tender as well as crunchy but I just found the portion is wayy wayy too small for the price. It barely fill me properly and this is Clayton, the rent are so much cheaper than city. Dondon gives more portion and cheaper price in the middle of CBD. 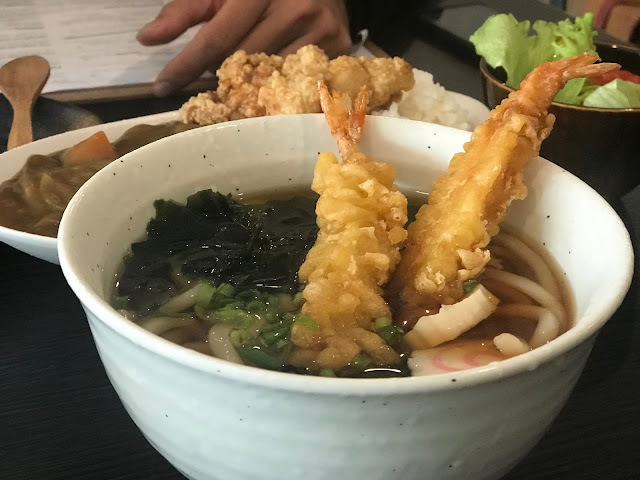 Winter udon with fried ebi ($12.5) with spring onion pancake ($5). Again still the same small portion but it taste good. 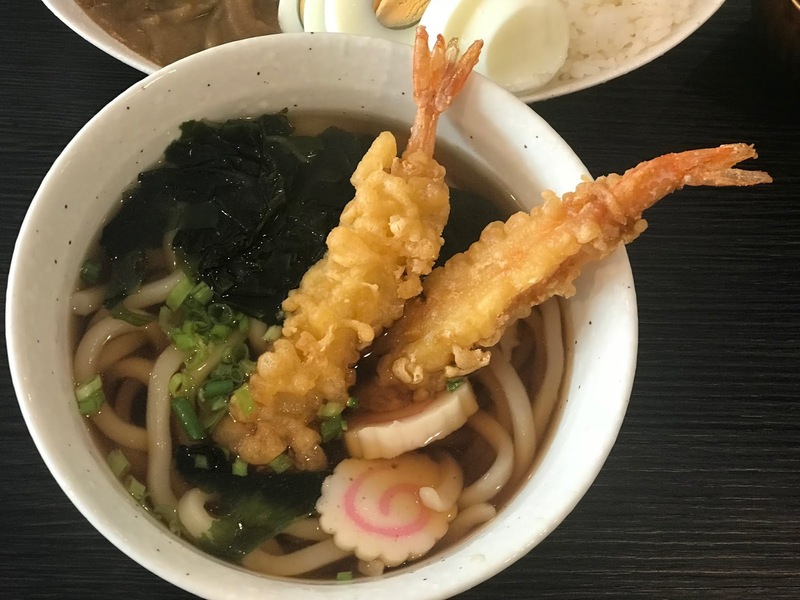 The broth was flavourful, the udon was cooked well and the fried ebi was not over powered by the batter it self. 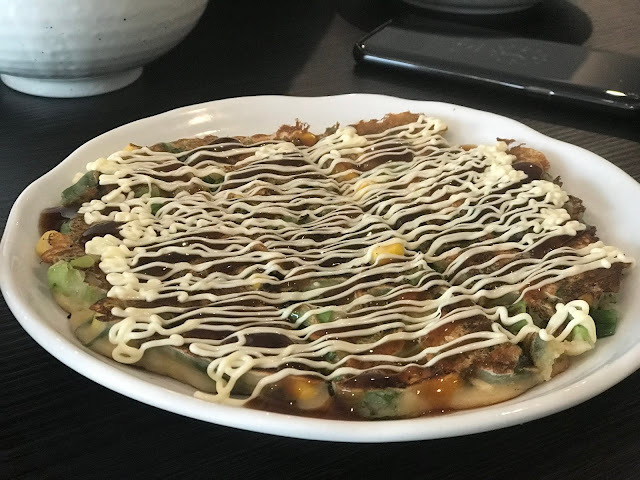 We also like the spring onion pancake so much, another form of okonomiyaki. I also both their tiramisu home and also tried three of their drinks; matcha latte, houjicha latte and taro latte. 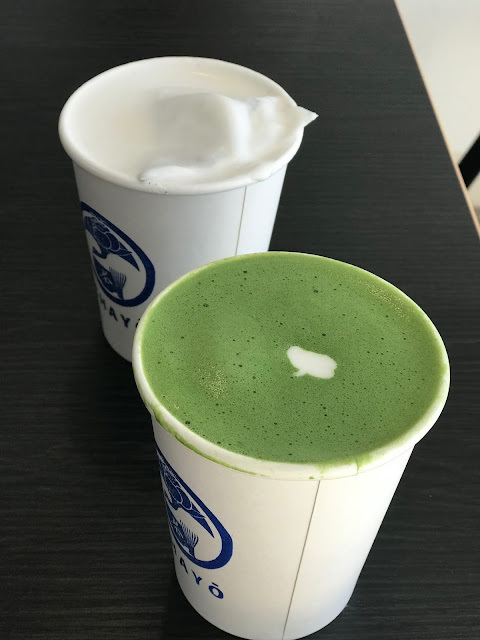 My favourite was their matcha latte cause it got proper strong matcha in it with creamy milk. 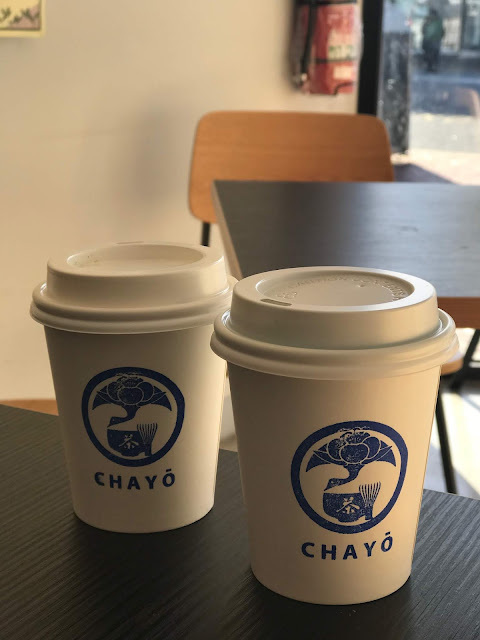 Sadly, the houjicha was dissapointing. 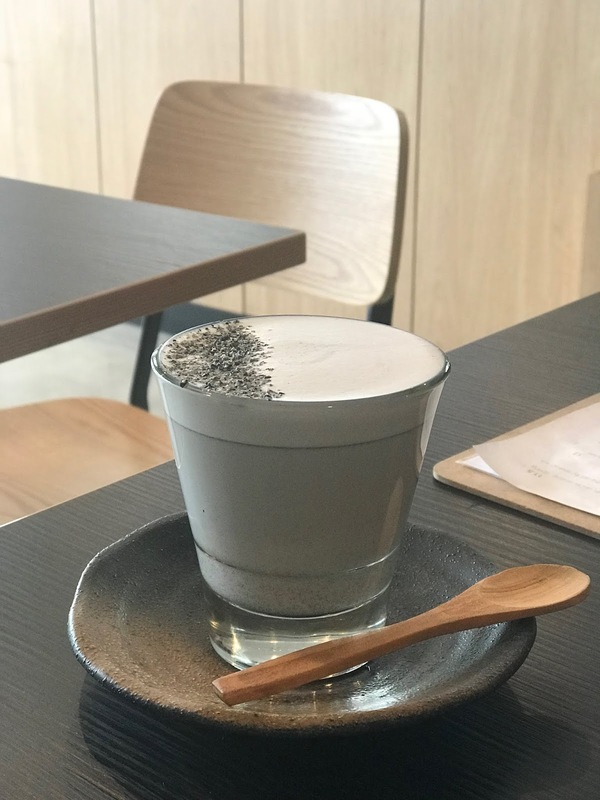 It barely have the houjicha flavour in it. The taro is was not bad, quite enjoyable I must say. 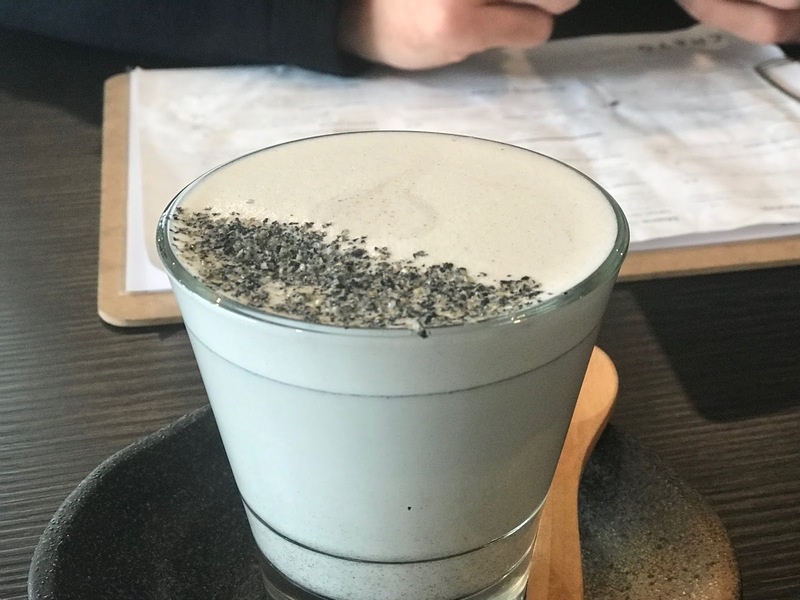 Tiramisu? good but average.